Frozen pipes are many homeowner’s nightmare. They can be tricky to handle, and if left untreated can result in pipes bursting. A burst pipe can do plenty of damage before it’s contained. Follow these steps to handle frozen pipes on your own. If you think more than one pipe may be frozen or if you aren’t sure where or if a pipe is, call a professional. There’s a lot on the line if a pipe bursts. Identifying frozen pipes is usually straight forward. Frost on a pipe (outside or inside) is a good indication that it’s frozen. 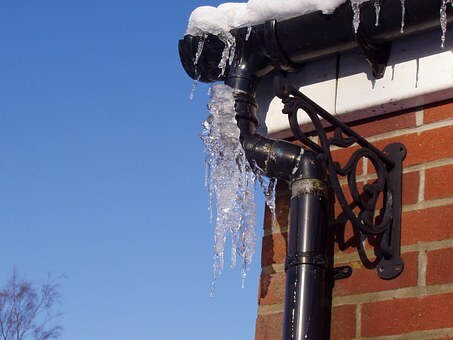 If your water suddenly starts flowing at a trickle or stops flowing suddenly, you could be dealing with a frozen pipe. Start at the faucet and work your way back along a pipe until you find evidence that it’s frozen. If your pipe is freezing or frozen, never think that you’ll deal with it in the morning. Water freezes when it expands. This pressure puts tremendous strain on pipes. It can even burst them, punching straight through the metal. Burst pipes are a huge expense for homeowners. 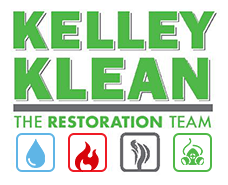 Water damage grows rapidly, and replacing pipes isn’t cheap. There’s too much at stake to wait. If the pipe isn’t frozen solid, open the facet and let water trickle out. Moving the water will help prevent it from freezing. Warmer water moving against the ice will also help it to thaw. Additionally, having the faucet on will help reduce the internal pressure of the pipe. The expanding ice can extend down the pipe instead of bursting it. If the pipe has frozen enough that no water can flow, open the faucet anyway. As you thaw the pipe, that water can flow out the faucet rather than adding to the pressure in the pipe. Once you’ve opened the faucet, get a hair dryer. This simple tool does wonders to quickly and safely heat up a pipe. Start at your faucet and slowly work your way back along the pipe. A dryer’s high setting will heat frozen pipes quickly and safely. Monitor the open faucet for draining water. If you thaw the pipe, you should be able to feel, hear, and see the water flowing normally. If you need to thaw large portions of pipes, a heat lamp can be a great substitution for a hair dryer. Many kinds of heat lamps, including infrared lamps, work well for this purpose. If possible, put a reflecting object like a cooking sheet behind the pipe. This will capture and reflect heat and light back onto the pipe you want to thaw. Caring for your frozen pipes is an essential part of home maintenance. Stepping in quickly can prevent frozen pipes from bursting. Focus on letting out the pressure within a pipe, and keep an emergency hair dyer on hand for thawing those tough frozen pipes.